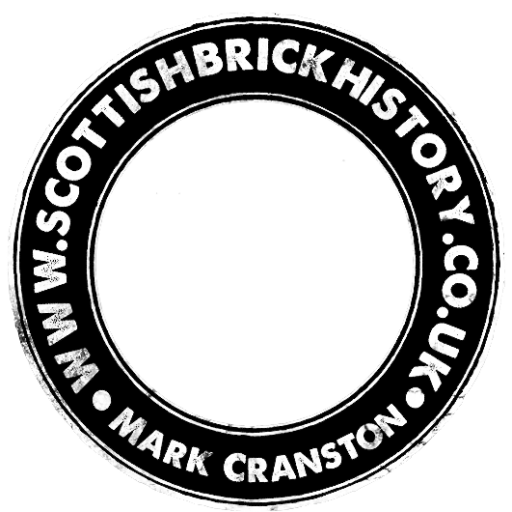 With regards to this page, special thanks go to William Anderson of Inverness for his assistance in local dialogue, information, photographs, research and newspaper cuttings. Many thanks to you Bill. Below – 1868 – Mile End Farm, Inverness. 23/04/1878 – Inverness Advertiser – Mile End Brick and Tile Works, Inverness – Proposed Brick and Tile Works – We are informed that a manufactory of this description is contemplated in the vicinity of the town, and that the project augers well for the promoters, who we understand are Messrs Middleton & Co, Inverness. Trial pits were dug to ascertain the depth of the clay deposit and the results showed an almost inexhaustible seam, covering an area of several acres. The quality of the clay is found to be excellent as samples of brick exhibited verify. We congratulate builders and others in having so important an industry in proximity to town, where buildings have made such giant strides of late years, and along with the excellent brick work at Culloden there is no doubt the wants of all will be amply supplied. The site selected for the purpose is on the farm of Mile End, the lands of Evan Baillie, Esq. of Dochfour. 06/06/1878 – Inverness Courier – New brick and tile works. The subscribers having acquired a lease of a new clay field on th eroute of the Caledonian Canal near Inverness have arranged to introduce the latest and most improved steam machinery for the manufacture of bricks, drain tiles and pottery goods and beg to intimate to proprietors, builders and farmers and others that they are now receiving and will shortly be in a position to execute any orders with which they may be favoured. 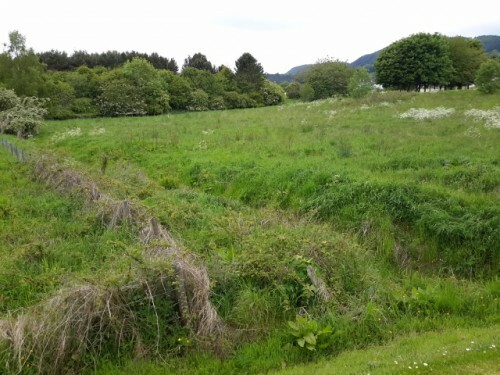 The quality of the clay has been tested and declared by competent judges to be unequalled in the North of Scotland and they can thus venture to promise that all articles supplied will be of a superior description. Prices and further information on application to D. Middleton & Co, 21 Union Street Inverness. The Inverness brick and tile works, Milend, Inverness. 10/01/1879 – Ross-shire Journal – Inverness Brick and Tile Works – These works are now in operation and we are prepared to execute orders. Prices on application. D Middleton & Co, 21 Union Street, Inverness 30/07/1878. 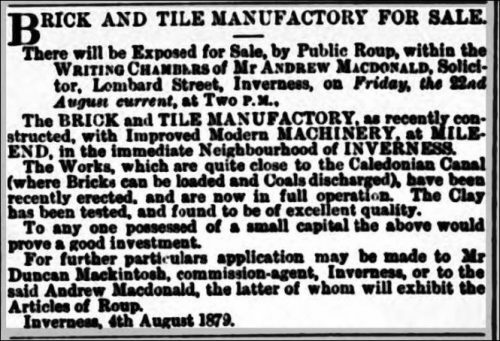 Below – 21/08/1879 – Inverness Courier – Milend brick and tile works for sale. Below – 14/08/1882 – Glasgow Herald – For sale, by Public Roup, within the Chambers of W. A. Galbraith, Writer, 83 West Regent Street, Glasgow, on Wednesday the 16th day of August current, at 3 o’clock P.M.
£600. Apply to the said W. A. Galbraith, who will exhibit the articles of roup and give all information required. 1887 – Ross, W., Brickworks, Milend, Inverness. Ross, William, Tileworks, Culloden, Inverness. 27/07/1888 – Inverness Courier – Bricks and Half bricks, a large quantity, cheap at Mile-end. Carted free. Apply 75 Castle Street, Inverness. 30/01/1891 – Inverness Courier – Mile End Brick and Tile Works near Inverness to let. They are situated within 400 yards of the canal, where coal and bricks can be shipped and one mile form Inverness. A large business could be done. Apply to Augustus C. Baillie, Dochfour, Inverness. 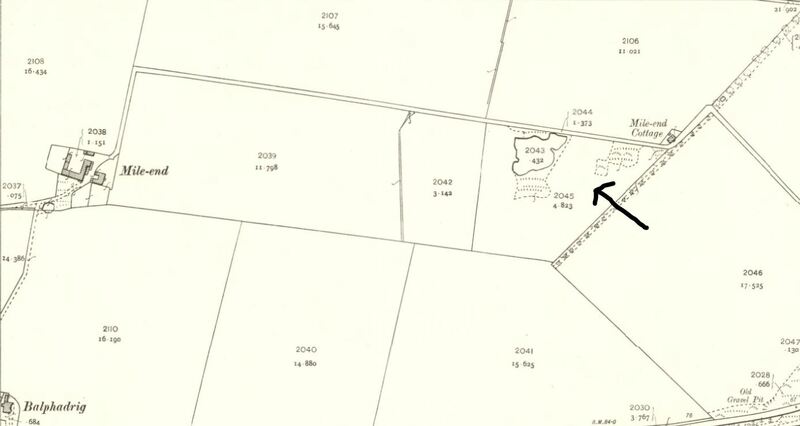 Below – 1903 – Mile End Farm, Inverness – The arrow indicates possible clay pit workings. 1887 – 1888 – Valuation Roll of the County of Inverness – Mile-end Brickworks. Proprietor James Evan Bruce Baillie of Dochfour, per Augustus C Bailie, Factor, Estates Office, Inverness. OCCUPIER VACANT. 1888 – 1889 – Valuation Roll of the County of Inverness – Mile-end Brickworks. Proprietor James Evan Bruce Baillie of Dochfour, per Augustus C Bailie, Factor, Estates Office, Inverness. OCCUPIER VACANT. 1889 – 1890 – Valuation Roll of the County of Inverness – Mile-end Brickworks. Proprietor James Evan Bruce Baillie of Dochfour, per Augustus C Bailie, Factor, Estates Office, Inverness. OCCUPIER VACANT. 1890 – 1891 – Valuation Roll of the County of Inverness – Mile-end Brickworks. Proprietor James Evan Bruce Baillie of Dochfour, per Augustus C Bailie, Factor, Estates Office, Inverness. OCCUPIER VACANT. 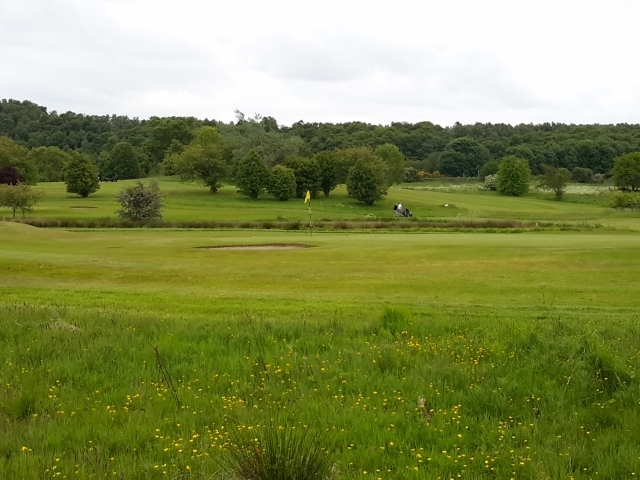 Below – June 2015 – The photos below were taken on the site of the Mile End Brickworks, the photo on the left shows a pond that is now part of Torvean Golf Course. This appears to have been one of the clay extraction pits. The other photo is of the burn that runs right through the site, the trees to the back of this photo is were brickworks buildings were likely located.